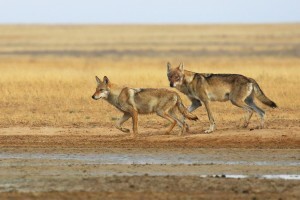 The trip to Stepnoi State Nature Sanctuary in remote Russian steppes to observe and photograph wild saiga antelopes and other steppe fauna is now planned for May 21-29 2019. Coming a little bit later, we can be sure that our activities do not disturb saigas during a vulnerable period of calving. 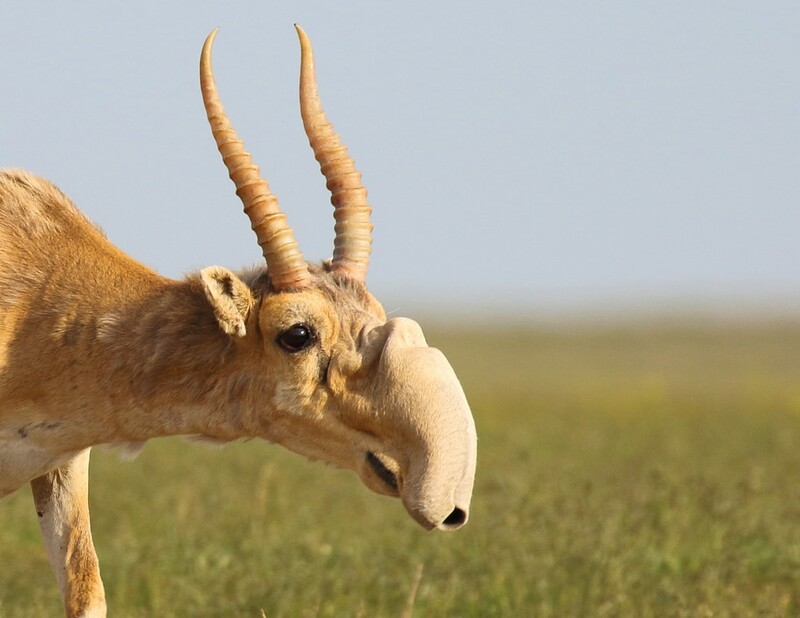 This change is good for saiga observations as hotter temperatures mean even more saigas in the hide area. We had incredible success at Stepnoi Sanctuary investigating the behaviour of these critically endangered weird-looking antelopes. 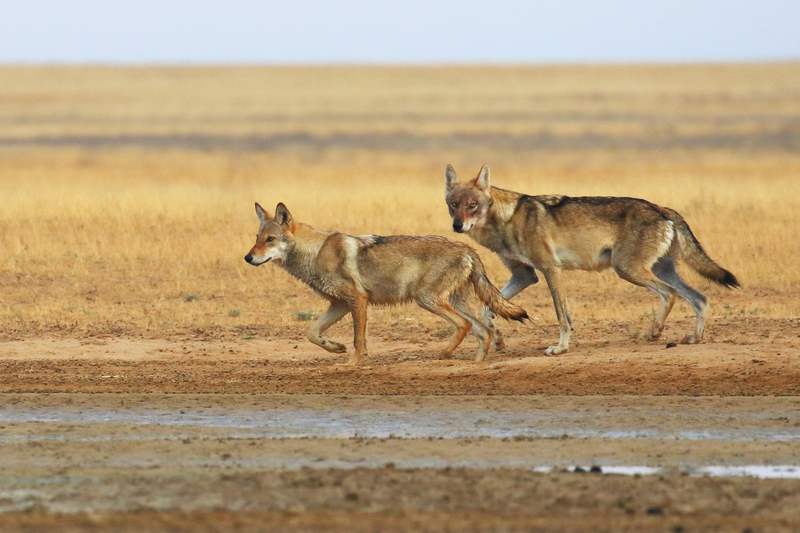 Now we invite three persons to join a saiga-watching trip which will include some research volunteering (recording saiga behaviour). From a wooden hide placed at artesian well, you’ll get a great chance to see saigas up to close, photograph them and observe the great variety of their social interactions. 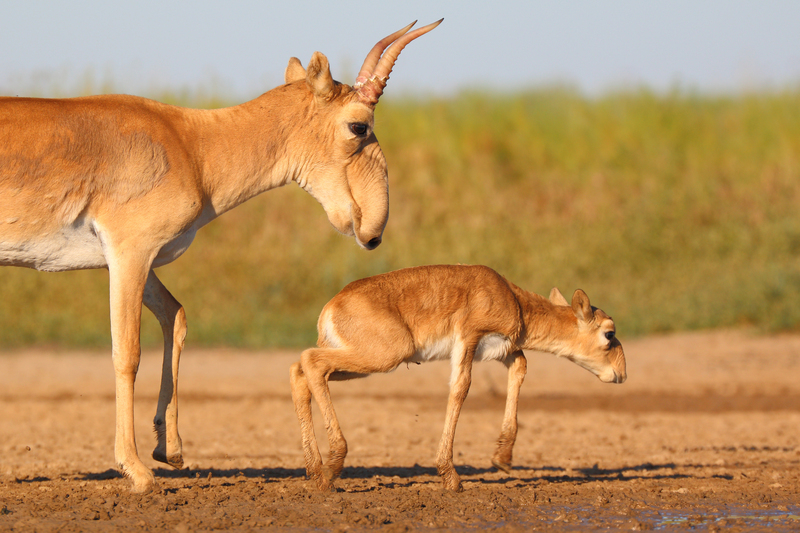 May is a perfect time to see saigas socializing. 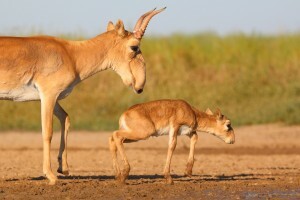 Male fights often occur at the waterhole, and saiga mothers visit the area with their constantly vocalizing playful calves. 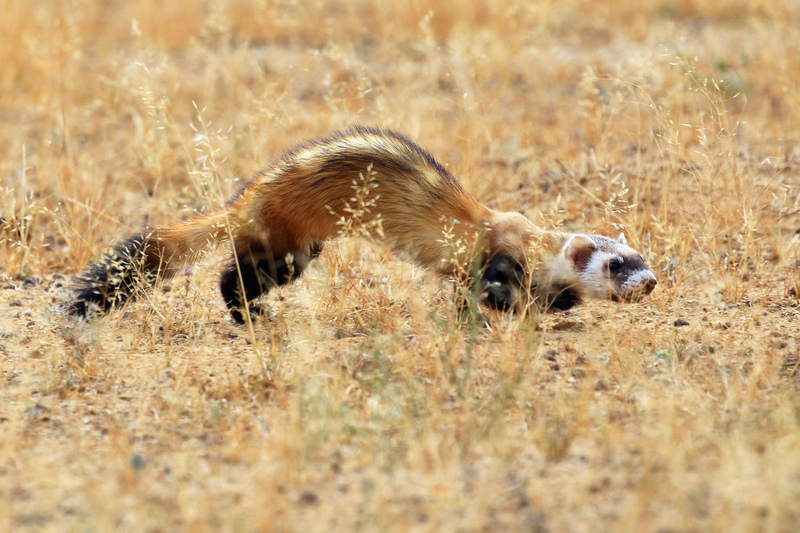 Besides observations from the hide, walks through a pristine steppe, spotlighting and live trapping are possible. The trip will be fully guided by two zoologists (us). We will provide the necessary help and information to get a Russian visa. 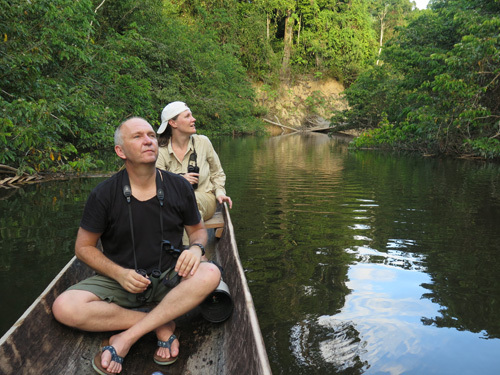 For anyone interested in this trip please feel free to comment here or contact us at zoology.gilev@gmail.com. You can find out more information on the brochure on the below link. The May 2019 trip is now full. Feel free to contact us if you are interested in future saiga trips or if you have any other questions.